← Cirque Du Soleil Kurios – What an Amazing Show! Image Credit: ©2017 Gullane (Thomas) Limited. ©2017 Mattel. All Rights Reserved. 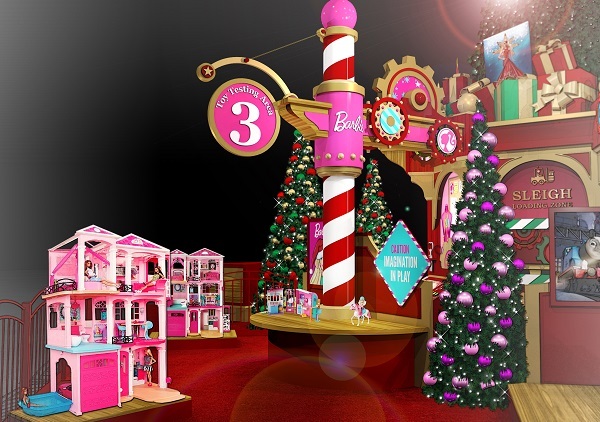 The Clackamas Mall has partnered with Mattel to introduce a new holiday adventure that will be memorable for the entire family. 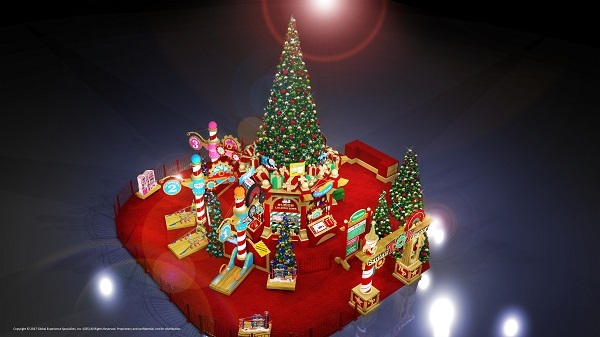 Santa’s Toy Factory will open on November 11 in the center court area of the shopping center. Santa visits were an annual tradition when I was growing up and I am continuing the tradition with my daughter. Trips to see Santa are a big deal in the Over Thirty Mommy house, some years we have gone 2 or 3 times. We go for the pictures, experience, memories, and also to let Santa know what is at the top of my daughter’s wish list. Visiting Santa has changed quite a bit over the past few years. Gone are the days of a simple set up with Santa in his chair, long lines that seem to last forever, and a quick photo. Santa visits are now elaborate displays of small North Pole factories, villages, and winter wonderlands. This makes the visits that much more special. The Clackamas Town Center is our go to shopping destinations for fulfilling all of our gift giving needs. Visits to the mall during the holiday season typically ends with a stop in to see Santa. With 11 nieces and nephews to shop for this year, we will be making lots of trips to the Clackamas Town Center. Mattel toys like Barbie®, Hot Wheels®, and Thomas & Friends™ are always on wish lists in our family. 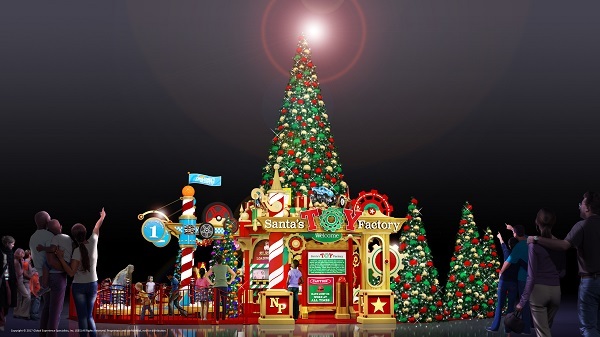 Santa’s Toy Factory is designed to empower creativity through an interactive, immersive experience to meet Santa. 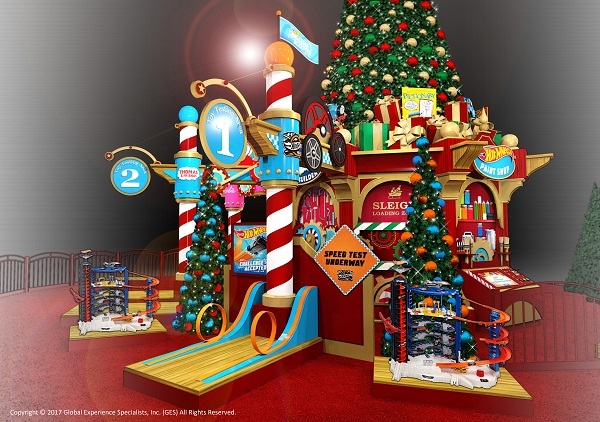 Within the 1,600 square-foot space, young guests will have the opportunity to “test” new toys in Santa’s Factory before they get delivered to all the boys and girls on Christmas morning. 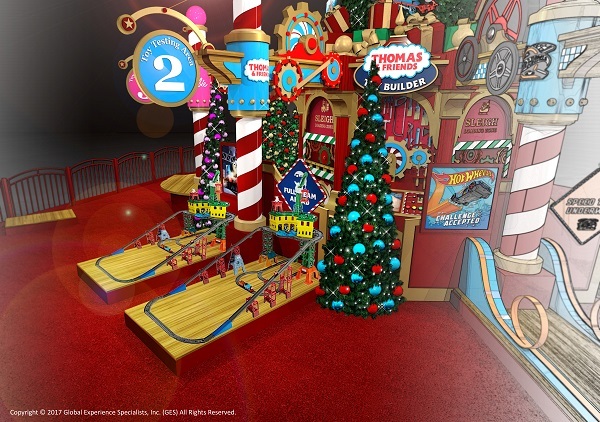 After they “test” the toys, they visit different stations to digitally design, build and paint toys from Mattel’s iconic brands including Barbie®, Hot Wheels®, and Thomas & Friends™.. The grand finale, of course, will be meeting Santa himself for photos and to share their holiday wish list. The experience with Santa’s Toy Factory is free-of-charge and photo packages begin at $39.99. To make reservations to ensure quicker access, please click HERE. If you’d like more information, please visit www.VisitSantasToyFactory.com. Clackamas Mall is located at 12000 S.E. 82nd Ave and is home to a plethora of high-quality tenants including Bath & Body Works, Nordstrom and Sephora. Check out these One-Day Special Events Too! Disclosure: I’ve partnered with Bloggin’ Mamas & GGP Clackamas to share these free family events with my readers, and am being compensated for this partnership. All opinions expressed are my own. This entry was posted in Events, Holiday Gift Guide and tagged Holiday, Mattel by Carrie. Bookmark the permalink.